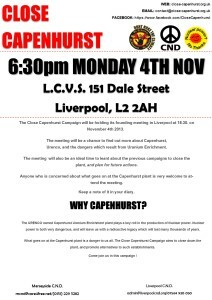 meeting in Liverpool at 18.30. on November 4th 2013. Urenco, and the dangers which result from Uranium Enrichment. 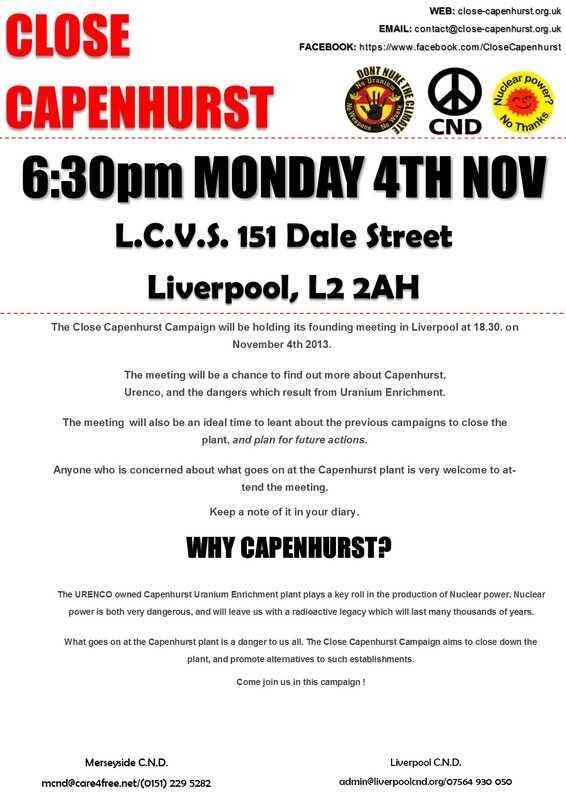 previous campaigns to close the plant, and plan for future actions. plant is very welcome to attend the meeting. Keep a note of it in your diary.